As a Seattle Newborn Photographer, it was such a pleasure photographing this family. They were so excited to have their girl and I have no doubt they felt complete. Everything about this posed baby session was perfection and I’m really excited to share it with everyone! 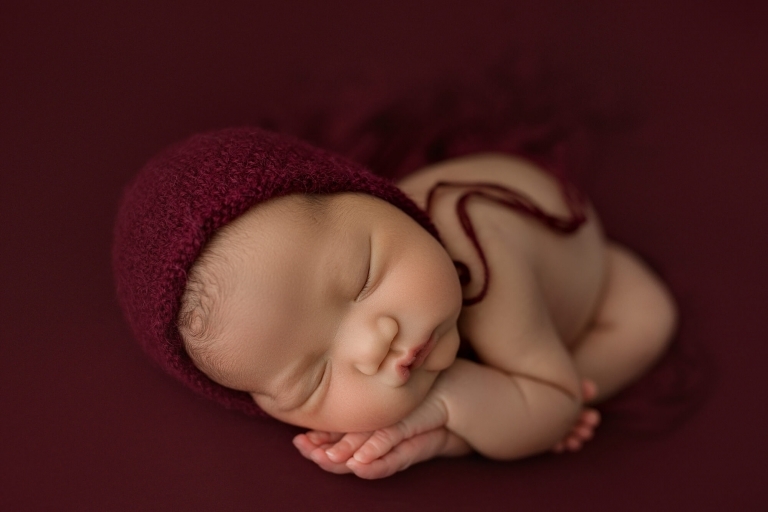 This was one of my first times using the color burgundy at a newborn session. I’ve had it in my studio for a while, so when mom chose it, I couldn’t wait to use it! It was such a beautiful color for this baby girl! Her golden skin matched it perfectly and I absolutely love how it looks. Its from Manly and Pretty Little Things and suits her well! 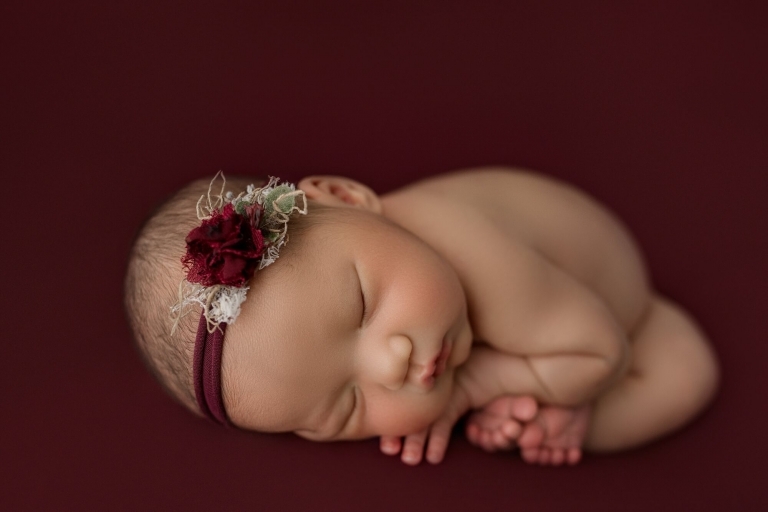 Some of my favorite shots from this newborn baby session are the ones where she is awake. Those always end up being the parents’ favorite and I love when I get to see their beautiful eyes. At this age, we tend to see rarely see them, so catching them on camera is extra special.